As palette reviewing series going on these days and as I am on little break for YouTube now (my voice choked due to cold) so giving rest to my voice and putting effort through fingers let's start today's review. 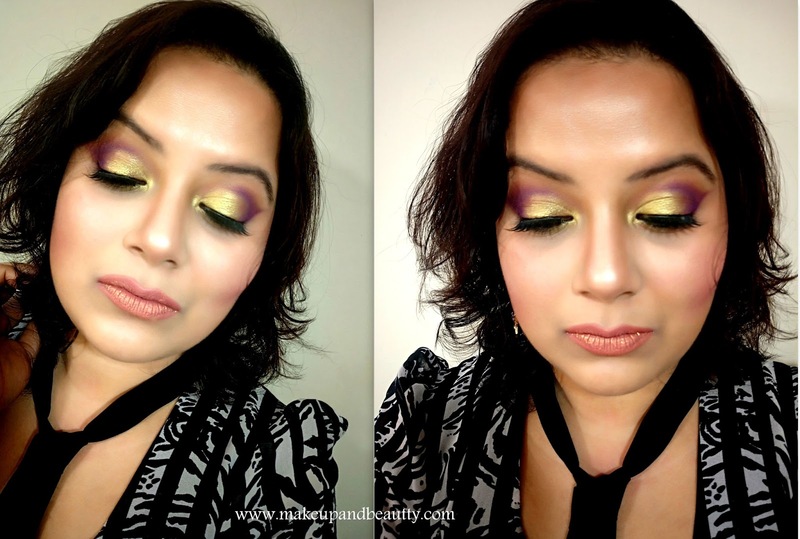 Today's talk of the post is the new JUVIA'S PLACE ZULU PALETTE. The brand Juvia's place never disappoints me when it comes to trying out their any new palette like NUBIAN 2 or MASQUERADE one. All those palettes have awesome pigmentation. So when Juvia's place launches a new palette named ZULU PALETTE, I was pretty sure that I had to grab this colorful one too. Price:- $17.50 in the Juvia's place website. Instagram seller price:- Rs.1800/- - Rs.2000/- approx. Availability:- In the Juvia's place website (https://www.juviasplace.com/products/the-zulu-eye-shadow-palette), Instagram sellers. The palette comes in a white color packaging with a same Egyptian figure on top of the box (which is holographic one) and on the top of the palette cover too. The palette has no mirror and brush. The palette close with a magnetic closure. Overall the packaging is sleek, small and easy to carry while traveling. The Juvia's place Zulu palette is a limited edition palette which is still available on their website along with most Instagram sellers. The palette draws my attention only because of the presence of all vibrant eyeshadows. The palette has a mixture of both matte and shimmers vibrant shades. The eyeshadows are not chalky at all and have a smooth texture which looks super pigmented when swatching with fingers. The eyeshadows blend easily on the eyelid and there is hardly any fallouts.The palette is perfect to create some artistic exotic day and night look. The eyeshadows stay pretty 7-8 hours on my eyelids without any primer.